The purpose of this paper was to assess the new mechanical ventilation strategies in acute respiratory distress syndrome (ARDS). Data sources includes Medline databases (PubMed, Medscape, ScienceDirect, and EMF-Portal) and all materials available on the internet from 2003 to 2016. The search presented articles that met the inclusion criteria involving the definition, pathophysiology, medical treatment, mechanical ventilation strategies, and prognosis of ARDS. If the studies did not fulfill the inclusion criteria, they were excluded. Study quality assessment included whether ethical approval was gained, eligibility criteria specified, appropriate controls, adequate information, and defined assessment measures. Comparisons were made by different lines of treatment and new mechanical ventilation strategies of ARDS. The studies show that mechanical ventilation is the hallmark of ARDS treatment and a lifesaving intervention for severe hypoxemia that characterizes it. Despite it being used in this setting for several decades, our knowledge about its benefits and potential harm has evolved widely over time. Early ventilation strategies involved volume-controlled ventilation with tidal volume (Vt) of 10–15 ml/kg to achieve “normal” arterial blood gases. However, ventilation itself can cause lung injury. A landmark trial conducted by the ARDS Network compared conventional Vtof 12 ml/kg with low Vtof 6 ml/kg and permissive hypercapnia. A 9% absolute mortality reduction was found in the low Vtventilation group along with reduced pulmonary and circulating inflammatory cytokines. The aim of positive end-expiratory pressures (PEEP) in ARDS is to recruit (or maintain recruitment) of atelectatic or flooded lung. Initial studies looking at the effects of PEEP described adverse hemodynamic effects at high levels, leading to a reduction in cardiac output and oxygen delivery. Recruitment maneuvers are used to open areas of atelectasis improving lung compliance and oxygenation. The prognosis of ARDS has improved over the past 20 years. Overall, 60–70% of patients survive. Patients with poor prognostic factors include those older than 65 years and those with sepsis as the underlying cause. The adverse effect of age may be related to underlying health status. We found that mechanical ventilation strategies that use lower end-inspiratory (plateau) airway pressures, lower tidal volumes (Vt), and higher PEEPs can improve survival in patients with ARDS, but the relative importance of each of these components is uncertain. The ARDS Network trial showed that a ventilation strategy with a lower tidal volume (4–8 ml/kg of predicted body weight) was associated with lower mortality and shorter length of mechanical ventilation. This trial used a combination of volume and pressure limitation. The acute respiratory distress syndrome (ARDS) is a major cause of acute respiratory failure. Its development leads to high rates of mortality, as well as short- and long-term complications. Therefore, early recognition of this syndrome and application of demonstrated therapeutic interventions are essential to change the natural course of this devastating entity . In 1821, Laennec described a new syndrome characterized by pulmonary edema without heart failure. The term “acute respiratory distress syndrome” was first used in 1967 to describe a distinct clinical entity characterized by acute abnormality of both lungs . In 1970s, ARDS became increasingly recognized, but hydrostatic causes (e.g. volume overload) were difficult to rule out. The potential for confusion was so great that measurements of pulmonary artery wedge pressure became a very common means of diagnosis . In 1988, Murray and colleagues introduced the lung injury score, which included chest radiograph, the ratio of the partial pressure of arterial oxygen and the fraction of inspired oxygen (PaO2/FiO2), total respiratory system compliance, and positive end-expiratory pressure (PEEP) . In 1992, the American European Consensus Conference (AECC) was credited for developing a standardized definition for ARDS to assist with clinical and epidemiologic research . In 1994, the AECC established criteria for the diagnosis of ARDS. However, as these clinical criteria do not always correlate well with diffuse alveolar damage, which is the typical pathologic ARDS feature, ARDS remains a syndrome associated with multiple diagnoses, rather than a disease in itself . Imaging plays a key role in the diagnosis and follow-up of ARDS. 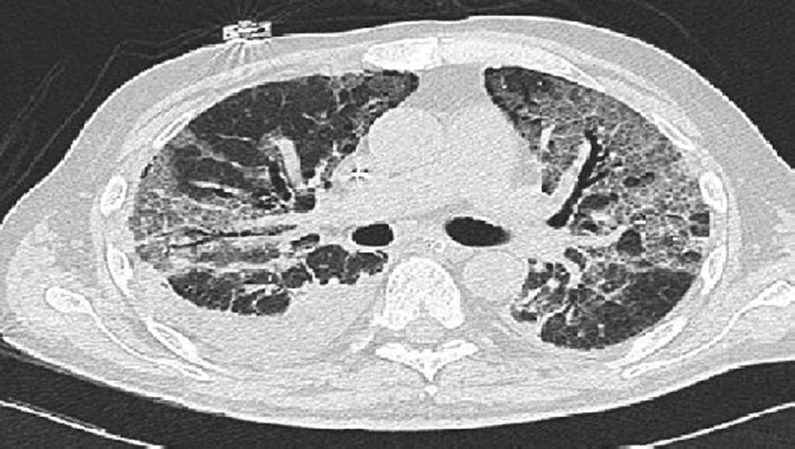 Chest radiography, bedside lung ultrasonography, and computed tomography (CT) scans can provide useful information for the management of patients and detection of prognostic factors . The management of ARDS is essentially supportive; it includes cardio respiratory and nutritional support, prevention of further lung injury, and prevention of complications, while waiting for the acute inflammatory response to resolve and lung function to improve . The aim of mechanical ventilation in ARDS is to provide oxygenation and ventilation, while reducing the risk of ventilator-induced lung injury (VILI) . Mechanical ventilation could be harmful for the healthy as well as injured lungs by an inappropriate setting of the ventilator, but mechanical ventilation is still and will be a standard of care for patients with ARDS even after the introduction of extracorporeal membrane oxygenation (ECMO) . We reviewed papers on the new mechanical ventilation strategies of ARDS from Medline databases (PubMed, Medscape, and ScienceDirect) and also materials available on the internet. We included ARDS/mechanical ventilation/definition of ARDS/treatment of ARDs/PEEP/recruitment maneuvers as searching terms. In addition, reference lists in relevant publications and published reports from national anesthetic field and ICU research programs were incorporated. The search was performed in the anesthesia databases from 2003 to 2016. If the studies did not fulfill the aforementioned criteria, they were excluded, such as studies on old mechanical ventilation of ARDS, surveys about symptoms and health concerns without exposure assessment, report without peer-review, not within national research program, letters/comments/editorials/news, and studies not focused on new mechanical ventilation strategies. The quality of all the studies was assessed. Important factors included study design, attainment of ethical approval, evidence of a power calculation, specified eligibility criteria, appropriate controls, adequate information, and specified assessment measures. It was expected that confounding factors would be reported and controlled for and appropriate data analysis made in addition to an explanation of missing data. All the relevant publications were identified, and many articles were excluded as they did not meet our inclusion criteria. A number of studies were included in the search as they were deemed eligible by fulfilling the inclusion criteria. Most studies examined the definitions, pathophysiology, pharmacological treatment, new mechanical ventilation strategies, and prognosis of ARDS. Some studies examined the general supportive care with ARDS and role of imaging with ARDS. Research into the new mechanical ventilation of ARDS is an area in which there are a significant number of scientific studies underway within both national and international research programs, in both public and private laboratories, and also because of the activities of standards and regulatory bodies. These studies cover the whole of the effect of mechanical ventilation on patients of ARDS. Both in-vitro and in-vivo studies are being conducted using cells, animals, and humans, as well as clinical and epidemiological investigations, and these studies measure the actual mortality rate in different situations and strategies. However, because of the volume of data being generated, it can be very difficult to provide relevant and timely inputs for the development of policies on mechanical ventilation strategies and health issues. This can result in the misinterpretation of results or in the inappropriate extrapolation of scientific findings. So this study tried to provide an update on the general status, briefly describes recent studies, and classify and evaluate them according to evidence-based medicine criteria. A proposal for an update by the AECC on ARDS definition has been published in 2012, which includes acute onset of hypoxemia with PaO2/FiO2 ratio less than 200 mmHg, bilateral infiltrates on chest radiography, and no evidence of left atrial hypertension. In addition, there are no clear criteria for defining acute – leading to ambiguity regarding cases of acute or chronic hypoxemia, high interobserver variability in interpreting chest radiography, difficulties in identifying/ruling out cardiogenic or hydrostatic pulmonary edema especially in an era of using pulmonary artery catheter, and correct assessment of PaO2/FiO2 ratio owing to sensitive to changes in ventilator settings . Increased capillary permeability is the hallmark of ARDS. Damage of the capillary endothelium and alveolar epithelium in case of impaired fluid removal from the alveolar space results in accumulation of protein-rich fluid inside the alveoli, thereby producing diffuse alveolar damage, with release of proinflammatory cytokines, such as tumor necrosis factor, interleukin-1, and interleukin-6. Neutrophil are recruited to the lungs by cytokines, become activated, and release toxic mediators, such as reactive oxygen species and proteases. Extensive free radical production overwhelms endogenous antioxidants and causes oxidative cell damage . Pathologically, ARDS is characterized by diffuse alveolar damage and evolves over 2 or 3 weeks. Superimposed cardiac failure; pneumonia; pulmonary embolism; VILI; malposition of tubes, central venous catheters, and drainages; or other conditions may suddenly worsen the clinical evolution. More rare complications are progressive lung fibrosis and pulmonary hypertension . The pathology of ARDS may progress through three overlapping stages: exudative, proliferative, and fibrotic . The exudative phase is the acute inflammatory stage of ARDS, typified by release of proinflammatory cytokines, influx of neutrophils, and impaired endothelial cell barrier function. Respiratory failure during the exudative phase is attributed to accumulation of protein-rich fluid in distal airspaces and to decreased surfactant production by type II epithelial cells. These early events are followed by the proliferative phase, which develops 2-7 days after the initiation of lung injury. This phase is characterized by the proliferation of type 2 pneumocytes, early fibrotic changes, and myointimal thickening of the alveolar capillaries. In some individuals, the proliferative phase progresses to a fibrotic stage that is associated with increased collagen deposition, a prolonged period of ventilation-perfusion mismatching, and diminished compliance of the lung . ARDS can be precipitated by either direct or indirect insult to the lung. Direct insults include pneumonia, aspiration of gastric contents, pulmonary contusion, or inhalation of injurious gases. Indirect injury can occur because of systemic processes such as sepsis, pancreatitis, multiple trauma, or massive transfusion of blood products. Sepsis is the most common cause of ARDS in humans . The clinical manifestations of Acute Lung Injury (ALI/ARDS) can develop either insidiously or acutely, after various initiating events. Typical symptoms typically present 12-36 h after an insult such as the development of sepsis or pneumonia. It begins with increasing dyspnea and tachypnea, which may be followed by tachycardia and respiratory failure . Patients with ARDS exhibit hypoxemia associated with acute bilateral pulmonary infiltrates occurring within 1 week of a provoking insult. Intubation and mechanical ventilation with a high FiO2 are often required to compensate for the large alveolar-arterial oxygen gradient. The former definition of ARDS and ALI required exclusion of left atrial hypertension causing hydrostatic pulmonary edema . Usually a diagnosis of ARDS is determined with a good patient history, physical examination, and chest radiography data. Incomplete patient history and nonspecific time-consuming diagnostics are early hurdles in quickly identifying the inciting cause of ARDS for some atypical presentations and other causes for bilateral infiltrates should be considered . The role of chest radiography has been recognized since the first definition of ARDS. Lung opacities are bilateral, diffuse, patchy, or homogeneous, involving at least three quadrants and cannot be fully explained by pleural effusion, atelectasis, or nodules. The most appropriate system of interpretation of chest radiographs is still not well defined, and a wide interobserver agreement exists. Nevertheless, a radiological finding is an integral part of the diagnosis. In fact, the Berlin definition statement underlined the limits of chest radiographs, recommending that chest radiograph criteria should be better clarified by creating a set of example radiographs. Chest radiography is also very useful to detect malposition of tubes and lines and associated complications [Figure 1] . 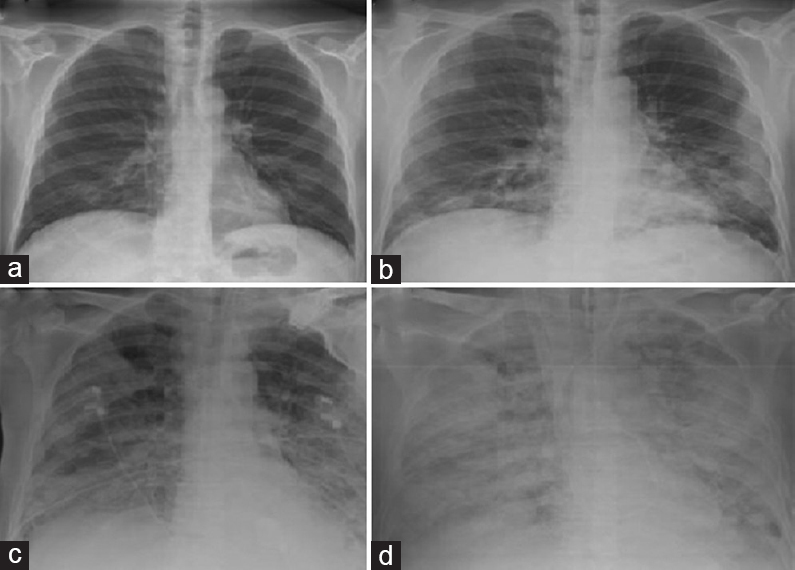 Figure 1: Radiological evolution of acute respiratory distress syndrome (ARDS) over the first week in a 57-year-old male patient with non-Hodgkin�fs lymphoma and H1N1 infection. (a) On admission, the radiography examination did not show any pathological findings. (b) The next day, some pulmonary consolidations appeared at the lower lobes. (c and d). Over the next 2-3 days, a rapid deterioration of clinical and radiological conditions occurred with consolidations (c) progressing to diffuse alveolar involvement, with �gwhite lung�h appearance (d). The normal-sized heart and vascular structures help in the differential diagnosis of pulmonary edema owing to heart failure. In patients with ARDS, lung ultrasound evaluation of overall and regional lung aeration may help in the assessment of illness severity, guide therapeutic interventions, and monitor a patient's response [Figure 2] . 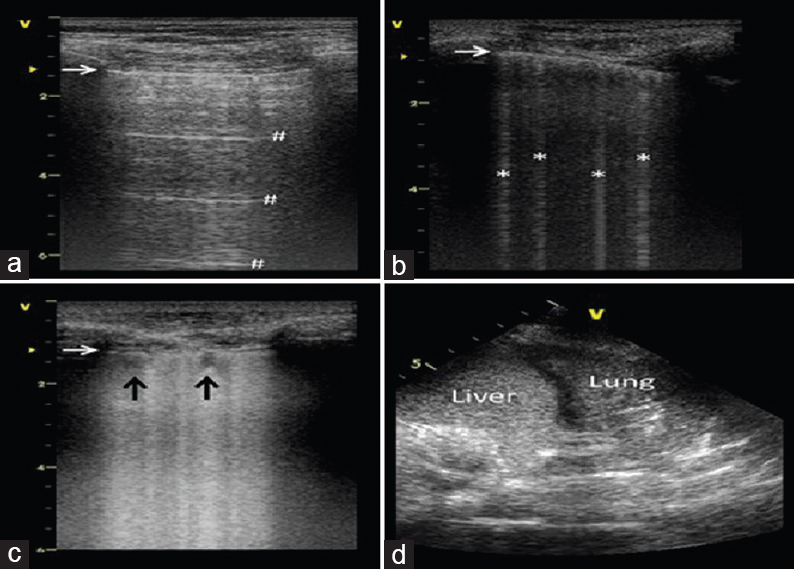 Figure 2: Ultrasound patterns at different degrees of lung aeration. (a) Normal lung ultrasound pattern. (b) Well-spaced B lines (moderate loss of aeration). (c) Coalescent B lines (severe loss of aeration; score). (d) Consolidated lung (complete loss of aeration). CT has proven to be more accurate than chest radiography in detecting the underlying causes and complications of ARDS. Moreover, CT is crucial to understand the pathophysiology of ARDS and the complex interplay between lung parenchyma and mechanical ventilation, which is still the recognized cornerstone of treatment [Figure 3] . Figure 3: Typical computed tomography (CT) features of acute respiratory distress syndrome (ARDS). Positron emission tomography has been increasingly used to study the pathophysiology of ARDS and VILI in both clinical and experimental studies. Positron emission tomography is versatile, and it can quantify regional perfusion, ventilation, aeration, lung vascular permeability, edema, metabolic activity of inflammatory cells, enzyme activity, and pulmonary gene expression [Figure 4] . Figure 4: Positron emission tomography imaging in two sheep who received a small endotoxin dose (10 ng/kg/min) while being subjected to injurious (left) or protective (right) mechanical ventilation. Therapeutic strategies for ARDS focus on treating the underlying etiology and providing supportive care that reduces the progression of lung injury . Despite advances in our understanding of the pathogenesis of ARDS, no drug has reduced mortality in ARDS. Treatment remains primarily supportive, with lung-protective ventilation and a fluid conservative strategy, as well as early neuromuscular blockade and prone positioning in more severe cases . Therapeutic strategies in ARDS include the following: control of causative factors (sepsis, shock etc. ), mechanical ventilation, controlled oxygen exposure FiO2, avoidance of volutrauma (low VT) and atelectrauma (appropriate PEEP), nonconventional ventilation, high-frequency ventilation, liquid ventilation, drug-based therapies (nitric oxide, surfactant, corticosteroids, and other anti-inflammatory agents), careful fluid administration, positioning (prone ventilation), and supportive therapy (analgesia and sedation, nutrition, and psychosocial support) . Mechanical ventilation is the hallmark of treatment of ARDS/ALI and a lifesaving intervention for the severe hypoxemia that characterizes it. Despite it being used in this setting for several decades, our knowledge about its benefits and potential harm has evolved widely over time. In fact, probably the most important progress in the research concerning ARDS/ALI has been getting to understand how this essential intervention can potentially harm the lungs, leading to what is known as VILI . Respiratory rate, expiratory time, PEEP, and FiO2 are set in accordance with ARDS Network protocols. Settings are adjusted to maintain an oxygen saturation of 88–95% and a plateau pressure of 30 cmH2O or less to avoid barotrauma. Clinical practice guidelines recommend maintaining an arterial pH of 7.30–7.45, although patients in some research trials have tolerated permissive hypercapnia and a pH as low as 7.15 . Evidence has shown that starting with low tidal volumes of 6 ml/kg is superior to starting with traditional tidal volumes of 10 to 15 ml/kg. Similarly, higher PEEP values (12 cmH2O or more) are associated with decreased mortality compared with lower values of 5–12 cmH2O. Conservative fluid therapy has been associated with decreased days on a ventilator and increased days outside the ICU. Because of the potential complications of pulmonary artery and central venous catheters, they are not used routinely and should be administered only by those with training and experience . ARDS is characterized by a major loss of lung volume owing to alveolar flooding, atelectasis, and consolidation. Since the first description of ARDS, the use of PEEP has been proposed to combat hypoxemia and atelectasis. The aim of PEEP in ARDS is to recruit (or maintain recruitment) of atelectatic or flooded lung. Initial studies looking at the effects of PEEP described adverse hemodynamic effects at high levels, leading to a reduction in cardiac output and oxygen delivery . Prone positioning was shown to improve oxygenation in patients with hypoxic respiratory failure . ECMO is an emerging rescue therapy for patients with severe ARDS. Application of ECMO requires careful estimation of potential risks and benefits. From the perspective of patients, the therapy often requires transfer to a referral center and a high risk of morbidity . Noninvasive positive-pressure ventilation (i.e., mechanical ventilation administered without the use of an invasive endotracheal airway) has been used successfully for the treatment of acute respiratory failure in a number of clinical trials, and it has been suggested that noninvasive positive-pressure ventilation may be useful for the treatment of ARDS . Continuous positive airway pressure is the application of a positive pressure to the airways of the spontaneously breathing patient throughout the respiratory cycle. Its main physiologic effects on lung are a decrease in airway resistance and a pressure-dependent increase in the often-compromised end-expiratory lung volume. As a result, patients on continuous positive airway pressure expend less effort breathing, have less paradoxical breathing, have less apnea, and have improved gas exchange . Mechanical ventilation strategies with lower end-inspiratory (plateau) airway pressure, lower tidal volumes (Vt), and higher PEEPs can improve survival in patients with the ARDS. Currently, ventilation strategies for ALI/ARDS based on low tidal volume ventilation strategy are the ones shown to have the most powerful mitigating effect on ARDS mortality. Tidal volumes have been considered safest at less than 8 ml/kg (probably to the order of around 4–10 ml/kg), and ventilation with even smaller tidal volumes may sometimes become necessary. The aim of PEEP in ARDS is to recruit of atelectatic or flooded lung. Studies looking at the effects of PEEP described adverse hemodynamic effects at high levels, leading to a reduction in cardiac output and oxygen delivery. Most of researches show that the prognosis of acute lung injury depends on the following factors: nature and severity of the precipitating factor, severity of lung injury, presence and degree of dysfunction of other system, and associated diseases. Modrykamien AM, Gupta P. The acute respiratory distress syndrome. Proc (Bayl Univ Med Cent) 2015; 28:163–171. Pierrakos C, Karanikolas M, Scolletta S, Karamouzos V, Velissarise D. Acute respiratory distress syndrome: pathophysiology and therapeutic options. J Clin Med Res 2012; 4:7–16. Bernard GR. Acute respiratory distress syndrome a historical perspective. Am J Respir Crit Care Med 2005; 172:798–806. Zompatori M, Ciccarese F, Fasano L. Overview of current lung imaging in acute respiratory distress syndrome. Eur Respir Rev 2014; 23:249–257. Marik PE. Evidence-based critical care. 3rd ed. Norfolk, USA: Eastern Virginia Medical School; 2015. 349–371. Ochiai R. Mechanical ventilation of acute respiratory distress syndrome. J Int Care 2015; 1:3–25. Zwer F. Acute lung injury and acute respiratory distress syndrome – Part I. J Anesth Crit Care Open Access 2015; 3:00109. Walkey AJ, Summer R, Ho V, Alkana P. Acute respiratory distress syndrome: epidemiology and management approaches. Clin Epidemiol 2012; 4:159–169. Standiford TJ, Ward PA. Therapeutic targeting of acute lung injury and ARDS. Transl Res 2015; 4:1–5. Przybysz TM, Heffner AC. Early treatment of severe acute respiratory distress syndrome. Emerg Med Clin North Am 2015; 8:1–14. Pesenti A, Musch G, Lichtenstein D, Mojoli F, Amato MB, Cinnella G, et al. Imaging in acute respiratory distress syndrome. Intensive Care Med 2016; 42:686–98. Wilson JG, Liu KD, Zhuo H, Caballero L, McMillan M, Fang X, et al. Mesenchymal stem (stromal) cells for treatment of ARDS: a phase 1 clinical trial. Lancet Respir Med 2015; 3:24–32. Saharan S, Lodha R, Kabra SK. Management of acute lung injury/ARDS. Indian J Pediatr 2010, 77:1296–1302. Cortes O, Penuelas A. Esteban, acute respiratory distress syndrome: evaluation and management. Minerva Anestesiol 2012; 78:343–57. Saguil A, Fargo M. Acute respiratory distress syndrome: diagnosis and management. Am Fam Physician 2012; 85:352–358. Rittayamai N, Brochard L. Recent advances in mechanical ventilation in patients with acute respiratory distress syndrome. Eur Respir Rev 2014; 23:249–257. Rao MH, Muralidhar A, Krishna A, Reddy S. Acute respiratory distress syndrome. J Clin Sci Res 2014; 3:114–34. Bohman JK, Vogt MN, Hyder JA. Retrospective report of contraindications to extracorporeal membrane oxygenation (ECMO) among adults with acute respiratory distress syndrome (ARDS). Heart Lung 2016; 45:227–31. Girard TD, Bernard GR. 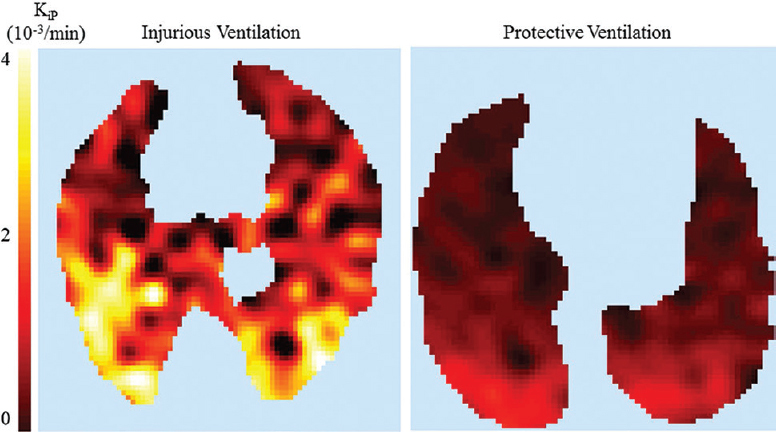 Mechanical ventilation in ARDS: a state-of-the-art review. Chest 2007; 131:921–929. Bahbaha MH, El-arabyb HA, Khedrb MA, Ghorab NN. Early nasal continuous positive airway pressure compared with mechanical ventilation in very-low-birth-weight neonates. Menouf Med J 2014; 27:711–716.